After a first half in which Padmaavat, Baaghi 2, Raazi, Sonu Ke Titu Ki Sweety and Veere Di Wedding set the cash registers ringing, we list the films that should get audiences to the theatres in the rest of the year. For the second half of the year, familiar faces Kajol, Abhishek Bachchan and Madhuri Dixit Nene return to Hindi films while fresh faces like Janhvi Kapoor, Sara Ali Khan and Ananya Pandey join the industry. Interesting pairings can also be seen with Anurag Kashyap’s Manmarizyaan with Vicky Kaushal and Taapsee Pannu, Sharat Katariya’s Sui Dhaaga: Made In India with Anushka Sharma and Varun Dhawan, and Rohit Shetty’s Simmba with Ranveer Singh and Sara Ali Khan. The last two months of 2018 — November and December — go out with a bang with two big budget features with ensemble casts. All eyes will be on Thugs Of Hindostan, starring Aamir Khan and Amitabh Bachchan, and Zero starring Shah Rukh Khan, Katrina Kaif and Anushka Sharma. The first sports biopic of the year, Soorma takes on the story of hockey star Sandeep Singh. Sandeep was injured by an accidental gunshot on board a train, leaving him wheelchair-bound for nearly two years. But the determined athlete bounced back to lead India's hockey team to the Sultan Azlan Shah Cup in 2009. Directed by Shaad Ali, this inspiring and moving drama stars Diljit Dosanjh as Sandeep Singh. Taapsee Pannu and Angad Bedi play integral roles in the film. Dharma Productions’ Dhadak is a remake of Nagraj Popatrao Manjule’s Marathi blockbuster Sairat (2015). The film has already been remade in Kannada, Bengali and Odia, but this Hindi version will be the most well known after Sairat, simply because it launches two star kids — Janhvi Kapoor and Ishaan Khatter. Kapoor, daughter of the late actress Sridevi, and Khatter, half-brother of actor Shahid Kapoor, have much potential. But will the Hindi version surpass the original? Only time will time. A month after his biopic, Sanju, hits the theatres, Sanjay Dutt himself will be seen in his second cinematic outing after being released from prison in February 2016. Dutt ws earlier seen in Bhoomi (2017) with Aditi Rao Hydari. This time, he joins director Tigmanshu Dhulia's Saheb, Biwi Aur Gangster series with actress Chitrangda Singh. Jimmy Sheirgill and Mahie Gill will be reprising their roles from the first two films of the franchise. Fanne Khan is a new upcoming 2018 Bollywood musical comedy movie, helmed by Atul Manjrekar. Fanne Khan is an official remake of the Oscar nominated Belgian 2000 film Everybody's Famous! In this movie you fill find Anil Kapoor, Aishwarya Rai Bachchan and Rajkumar Rao in lead roles. This multi-starrer flick is a take on body shaming, where Pihu Sand is a 17-year-old who dreams to be a popular pop star. 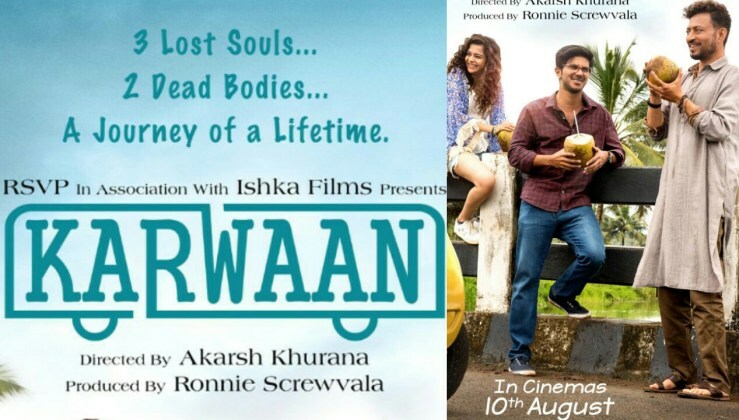 Karwaan is an 2018 upcoming comedy film directed by Akarsh Khurana. The movie stars Dulquer Salmaan, Irrfan Khan, Mithila Palkar, Kriti Kharbanda and Amala Akkineni in the key roles. Karwaan also marks the Bollywood debut of Malayalam Superstar Dulquer Salmaan who enjoys a massive fan following there. The movie will also be dubbed in Malayalam. Karwaan regular shoot commenced on August 31st 2017 and the movie will release on August 10th 2018. It was earlier scheduled to hit screens on June 1st but Karwaan release date was later pushed to August 10th 2018. This period film details the incredible story of how independent India won her first Olympic gold medial in 1948. Arriving on the 71st anniversary of India’s independence, after the current football fever has subsided, Gold looks to capture the patriotic mood of Independence Day. Starring Akshay Kumar, who seems to have staked a claim on the Independence Day release date, Gold is directed by Reema Kagti. Mouni Roy, Kunal Kapoor, Amit Sadh, Vineet Kumar Singh and Sunny Kaushal are also part of the cast. This horror comedy, written by Raj and DK, promises in its teaser that 'mard ko dard hoga', meaning 'men will feel the pain'. Said to be based on a true phenomenon, a female spirit terrorizes the small town of Chanderi, where the red paint on the walls reads ‘O stree, kal aana [Woman, come tomorrow]’. With Rajkummar Rao, Pankaj Tripathi and Shraddha Kapoor in the film, we are already intrigued. Vicky Donor (2012) actor Ayushmann Khurrana plays a blind pianist in this latest thriller by filmmaker Sriram Raghavan. The rest of the cast includes two fine actresses, Tabu and Radhika Apte. 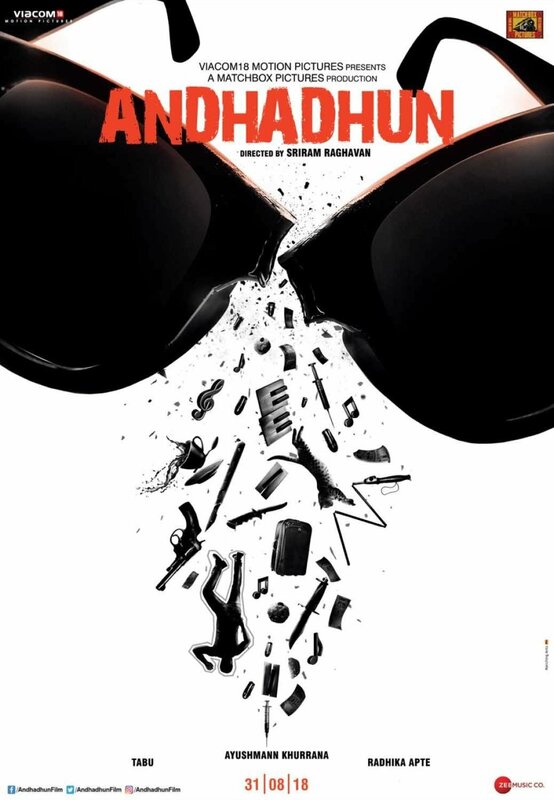 The film's working title was Shoot The Piano Player until it was changed to Andhadhun. The first poster indicates there will be murder, music and mayhem. Just what we would expect from a Sriram Raghavan film. 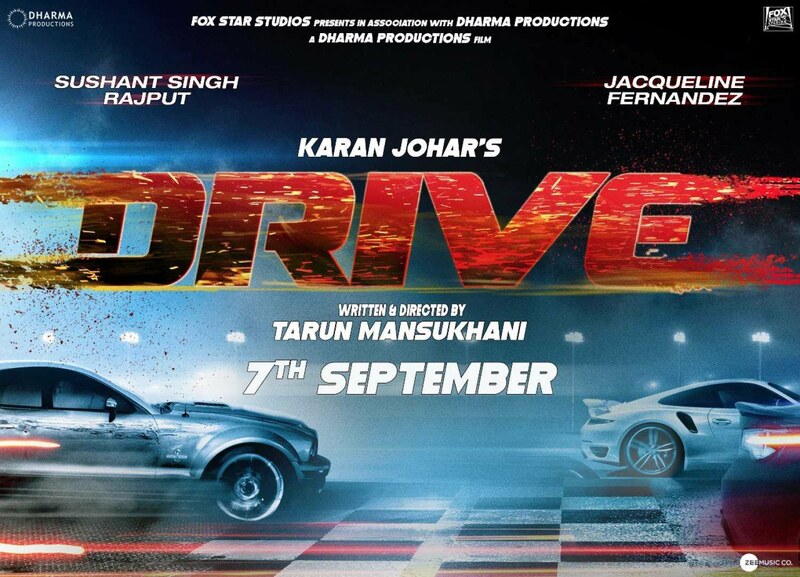 Already delayed from March, Tarun Mansukhani’s Drive is reportedly set in the never-seen-before world of street racing. Starring the hot new pair of Sushant Singh Rajput and Jacqueline Fernandez, the film is supposed to be the first in a series for Dharma Productions. It has been a decade since Mansukhani last had a film in theatres, Dostana (2008). We hope there are no similarities with Hollywood film Drive (2011) starring Ryan Gosling as a getaway driver. Like Tarun Mansukhani, filmmaker JP Dutta, too, has not had a film in theatres in a while. His last film was the ambitious remake, Umrao Jaan (2006), starring Aishwarya Rai Bachchan and Abhishek Bachchan. 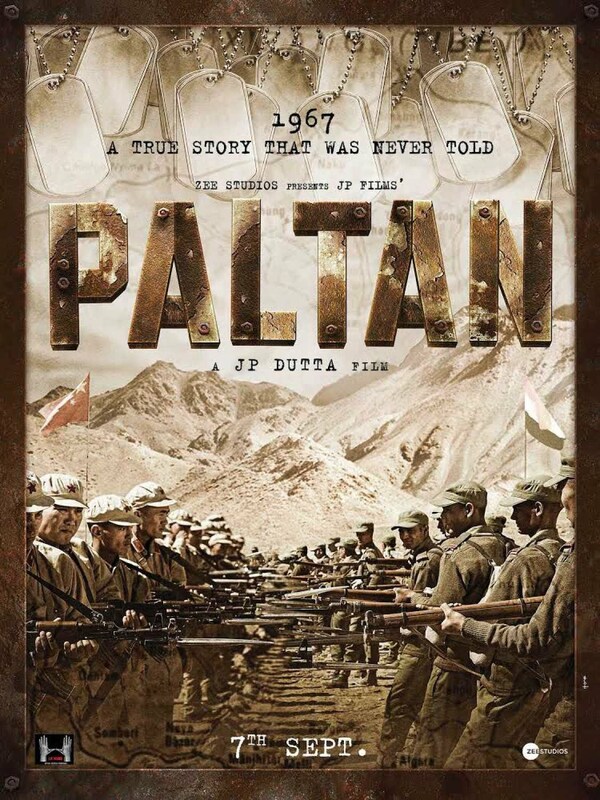 With Paltan, Dutta returns to his war film roots which made him famous. The film is based on the 1962 India-China war and looks to recapture the spirit of Dutta’s Border (1997). Anurag Kashyap’s next film joins an already crowded release date of 7 September with Paltan and Drive. The film, a love story by Kashyap, brings Abhishek Bachchan, Vicky Kaushal, and Taapsee Pannu together for the first time. Bachchan has already mentioned how he was eager to work with Kashyap on Manmarziyaan and we are just as excited to see Bachchan back on the big screen. Kajol is another star who has been away from Hindi films since the underwhelming Dilwale (2015). She worked with Dhanush in the Tamil film VIP 2 (2017) and has been selective with her next. Produced by husband Ajay Devgn, the tentatively titled Eela is written by filmmaker Anand Gandhi and adapted from his Gujarati play. 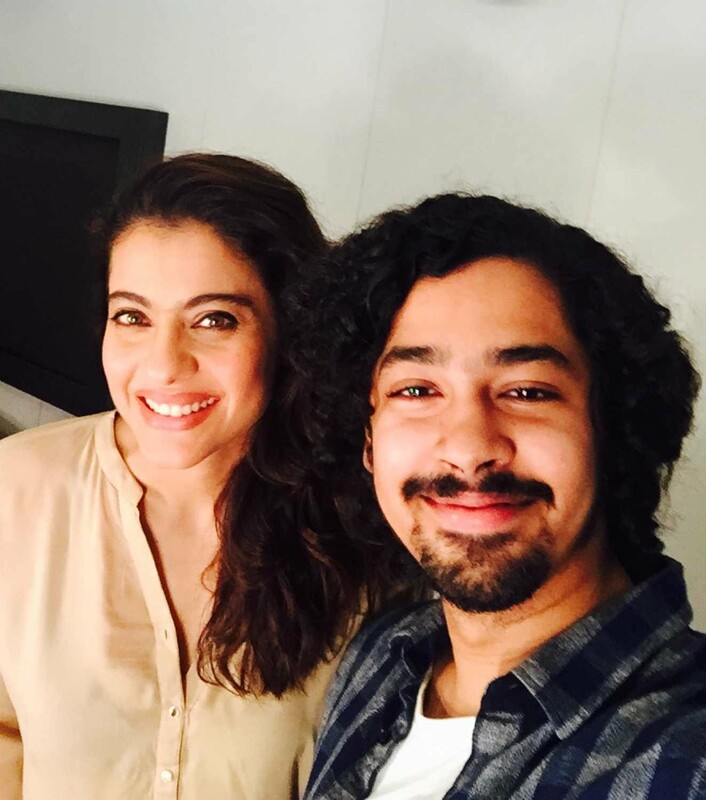 Newly minted National Best Actor award-winner Riddhi Sen plays Kajol’s son in the film. Sarkar’s last film, Mardaani (2014), was a showcase for Kajol’s cousin Rani Mukerji. We are hoping Eela does the same for Kajol in September. 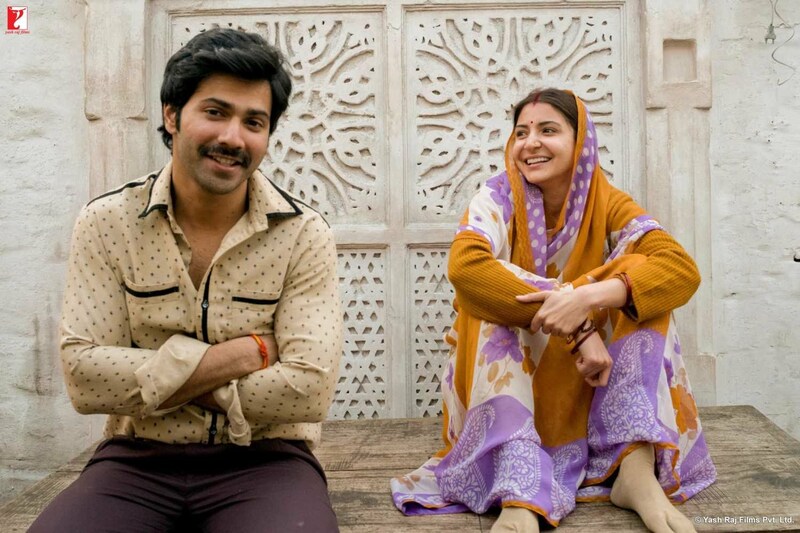 Ever since it was announced over a year ago, we have been curious to see how Varun Dhawan and Anushka Sharma will be paired in the film. The two stars have transformed themselves as simple characters Mauji and Mamta. They have even picked up new skills — stitching and using a sewing machine. Director Sharat Katariya’s last film, Dum Laga Ke Haisha (2015), struck a chord with audiences, so we are eager to see what he does next. Formerly titled Chhuriyaan, filmmaker Vishal Bhardwaj's next is based on writer Charan Singh Pathik's short story Do Behnein. Unsurprisingly, the film will centre on two sisters, played by Sanya Malhotra and newcomer Radhika Madan, who are constantly at odds with each other. As they grow older and get married, they come to realize that they can't live without each other despite their fights. Set in a small Rajasthani village, Bhardwaj's film goes up against Yash Raj Films' Sui Daaga: Made In India which is also focuses on a couple in a small town. Inspired by the timeless song from 1942: A Love Story (1994) by RD Burman, producer Vidhu Vinod Chopra’s next after Sanju (2018) is the directorial debut of his sister Shelly Chopra Dhar. The family film marks a reunion for 1990s stars Anil Kapoor and Juhi Chawla. For Kapoor it also marks an appearance on the big screen with oldest daughter Sonam Kapoor Ahuja. Rajkummar Rao rounds out this appealing casting for Ek Ladki Ko Dekha Toh Aisa Laga. This one is eagerly awaited. Surprisingly Junglee is not the first film this year to explore the friendship between man and elephant. Rana Daggubati’s Hindi-Telugu-Tamil trilingual Haathi Mere Saathi is also supposed to be released this year and is a tribute to Rajesh Khanna’s 1971 classic of the same name. In Junglee, Jammwal plays a veterinarian on an elephant reserve who takes on international poachers and protects his animal friends. The film is directed by Hollywood filmmaker Chuck Russell and his first Indian film will be one to watch! Update: The release of Junglee has been postponed to 5 April 2019. In this sequel to Namastey London (2007), Arjun Kapoor and Parineeti Chopra fill in for original stars Akshay Kumar and Katrina Kaif. Kapoor and Chopra are reunited on screen after starring together early on in their careers with Ishaqzaade (2012). The duo were to be seen in Dibakar Banerjee’s Sandeep Aur Pinky Faraar (2019) before this film, but the film got pushed to next year. 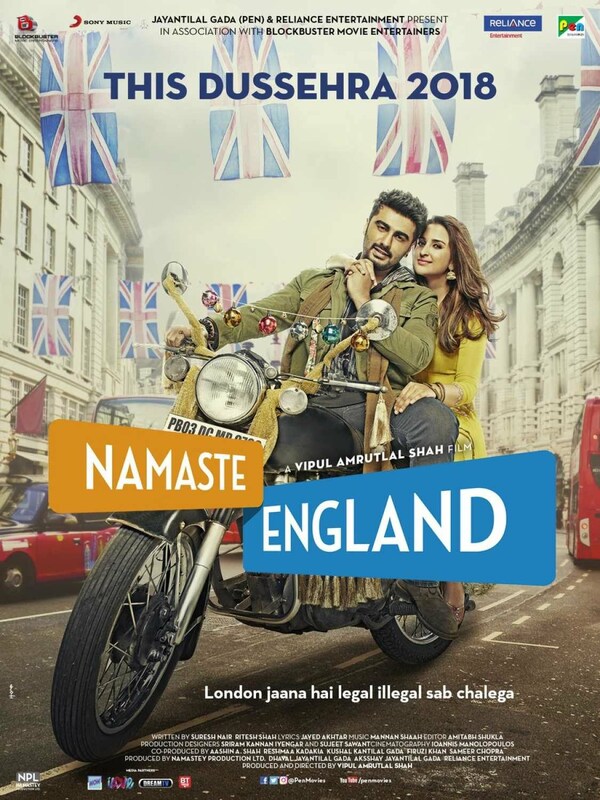 Namaste England will likely explore the methods immigrants to the country employ when they want emigrate there. 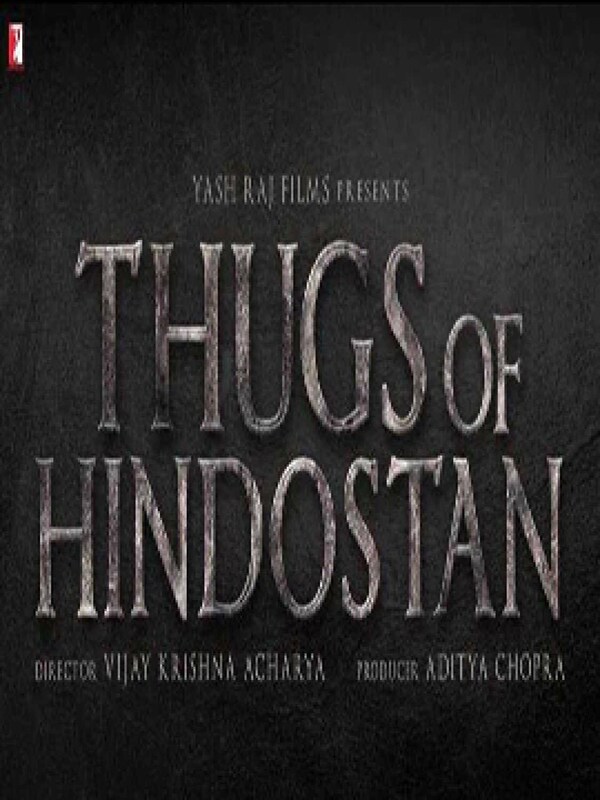 It’s safe to say that Vijay Krishna Acharya’s period drama will likely be the film of the year. Marking the first time Amitabh Bachchan and Aamir Khan are acting together, Thugs Of Hindostan is said to be inspired by the 1839 novel. Confessions of a Thug, by Philip Meadows Taylor. The book explored the thuggee era of the early 19th century when the British were consolidating their rule in India. The film’s female leads are Katrina Kaif and Fatima Sana Shaikh, both of whom have worked with Aamir Khan in recent times. While Karan Johar’s Student Of The Year launched Varun Dhawan, Alia Bhatt and Sidharth Malhotra, this second instalment is only launching two new faces — Ananya Pandey and Tara Sutaria — opposite Tiger Shroff. 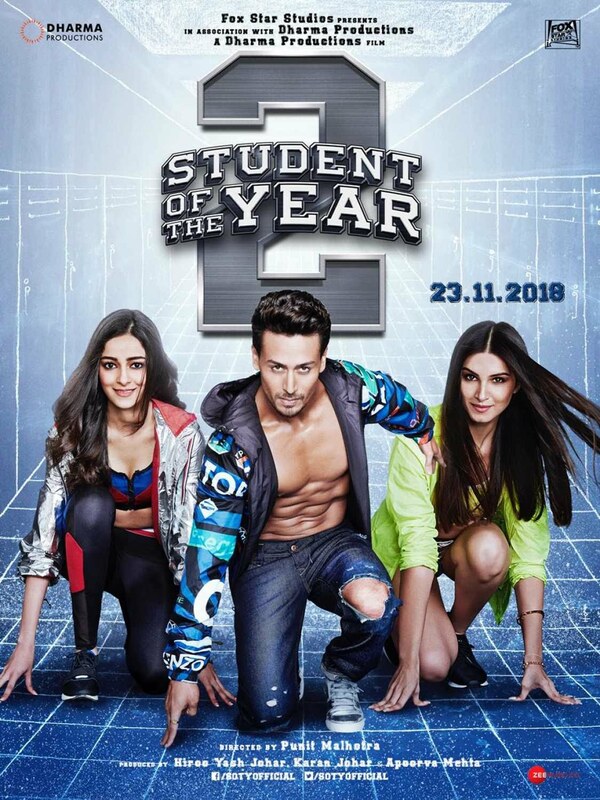 The sequel, directed by Punit Malhotra, looks at a new batch of students and their trials and tribulations. Judging by Shroff’s fan base, this one, too, looks set to pass with flying colours. 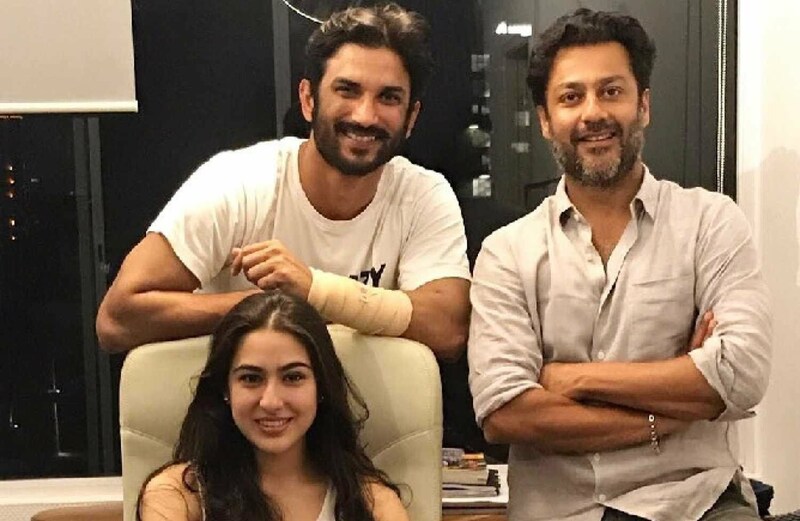 Abhishek Kapoor’s troubled production of Kedarnath will finally be released on 30 November, making it Sara Ali Khan’s debut film. Sara is the daughter of actor Saif Ali Khan and actress Amrita Singh. The love story, which co-stars Sushant Singh Rajput, has been set in the pilgrimage centre of Kedarnath. Reportedly, the film will touch upon the 2013 flash floods which devastated the region and caused extensive damage in the town. For Hindi film fans of the 1990s, the casting of Anil Kapoor, Madhuri Dixit Nene and Ajay Devgn in Indra Kumar’s Total Dhamaal is bound to induce nostalgia. However, this is no love story, just the latest film in Kumar’s comedy franchise after Dhamaal (2007) and Double Dhamaal (2011). Riteish Deshmukh, Arshad Warsi and Jaaved Jaaferi reprise their roles from the original. With this combination, the end result is sure to be entertaining! The cast of Yash Chopra’s Jab Tak Hain Jaan (2012) is back together again for Aanand L Rai’s Zero. The film’s story is tightly under wraps, but it revolves around the film industry and Khan plays a dwarf. Khan and Sharma’s last film together, When Harry Met Sejal (2017), was a disappointment, so here’s hoping this collaboration doesn’t meet the same fate. 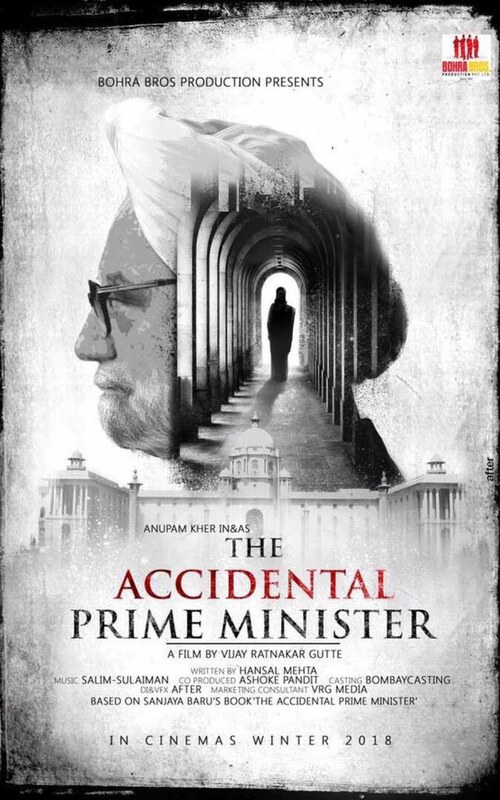 One of the year’s most interesting films, The Accidental Prime Minister is an adaptation of Sanjaya Baru’s book of the same which explores the political commentator’s working relationship with former prime minister Manmohan Singh. Anupam Kher has been cast as Manmohan Singh and Akshaye Khanna will play Baru. Colour us intrigued! Ensuring that 2018 ends with a roar, the combination of filmmaker Rohit Shetty and actor Ranveer Singh promises to deliver the goods. 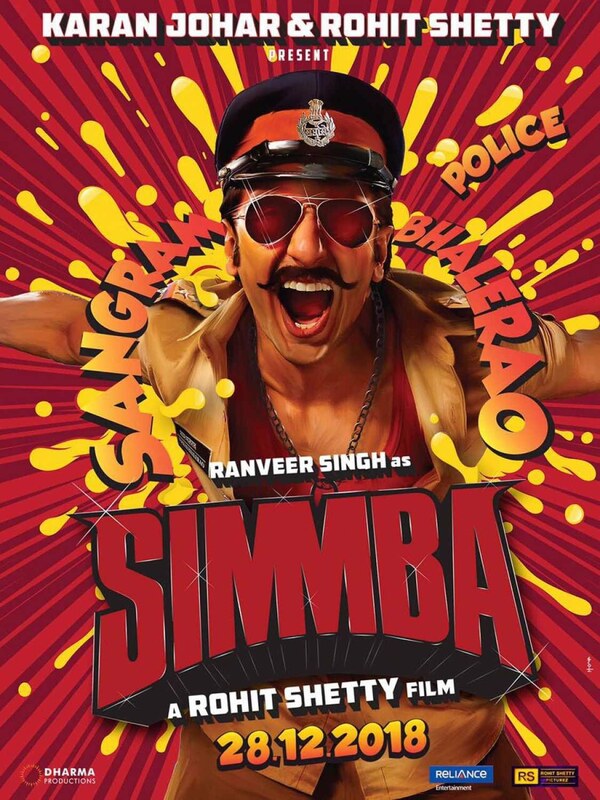 Ranveer Singh has been cast as police inspector Sangram Bhalerao and one might be mistaken that it’s the third instalment of the Singham series. Instead, the action-comedy is a remake of the South film Temper (2015). Sara Ali Khan stars opposite Ranveer Singh.